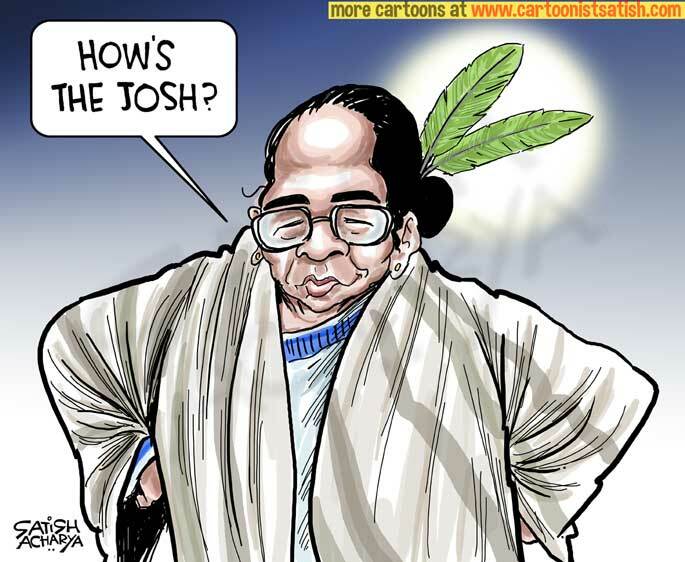 Chandan takes a jibe at West Bengal chief minister Mamata Banerjee after she claimed ‘moral victory’ over the Supreme Court order restricting the CBI from arresting Kolkata Police joint commissioner Rajeev Kumar. 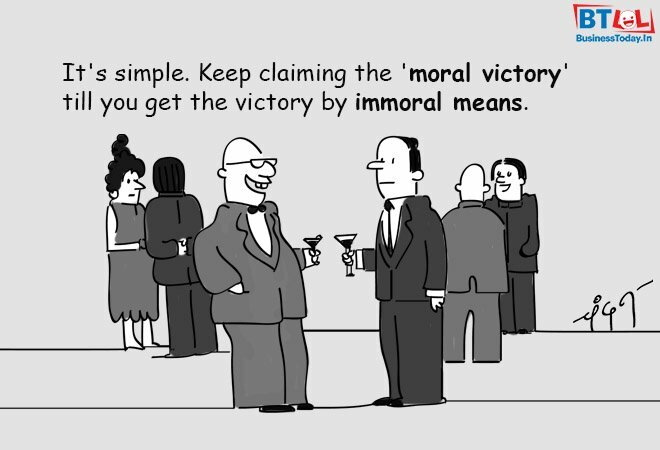 As activist Anna Hazare is back in focus with another indefinite fast for his Lokpal demand, Kirtish Bhatt illustrates the activist’s protestation against being ‘used’ by the BJP during the previous anti-corruption movement. 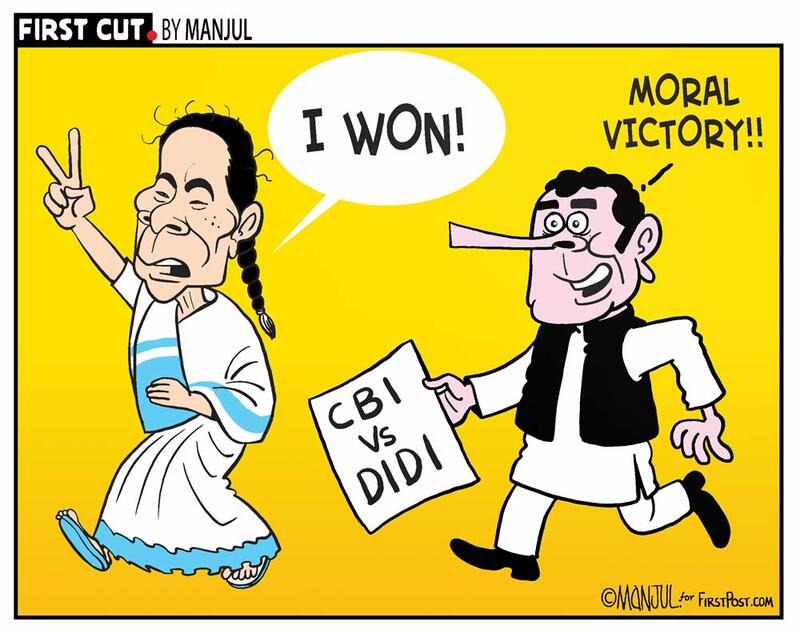 Manjul illustrates Congress president Rahul Gandhi chanting Mamata Banerjee’s ‘moral victory’ in her fight with the CBI. 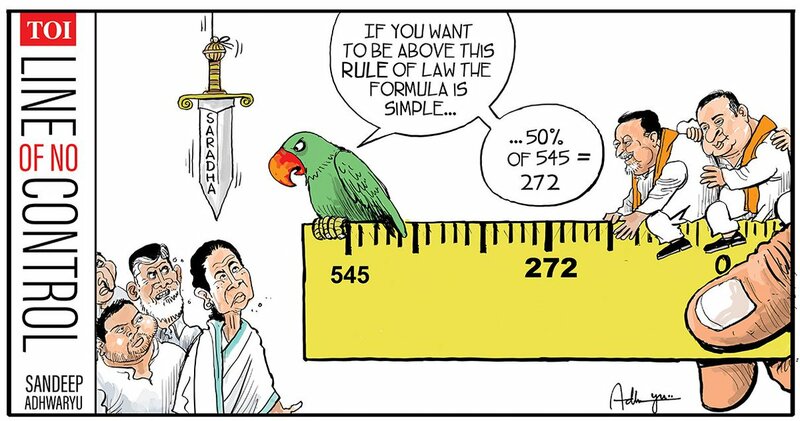 In view of the Saradha scam, Sandeep Adhwaryu draws former TMC members Mukul Roy and Himanta Biswa Sarma, both of whom have now joined the BJP, sitting on the ‘poll-scale’ with the ‘parrot’ revealing the formula to stay above the ‘rule of law’. 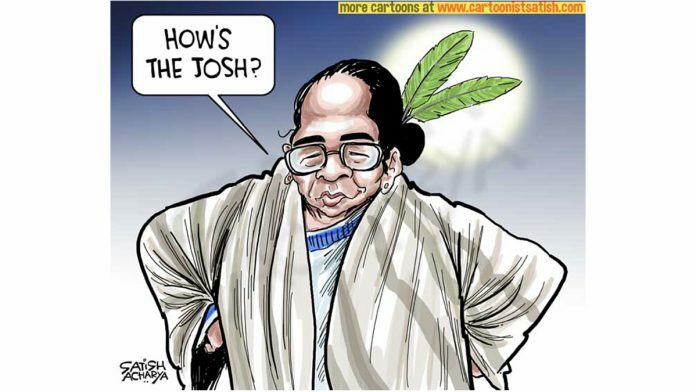 Satish Acharya depicts West Bengal chief minister Mamata Banerjee with ‘feathers in her cap’ as she weighs in on the Modi government’s ‘josh’ after the Supreme Court order in the CBI case. 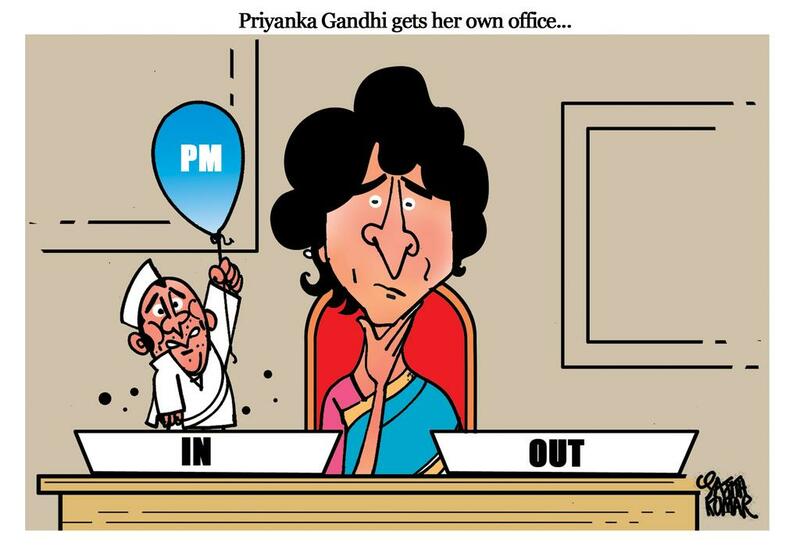 As Priyanka Gandhi Vadra joins the Congress office formally, Sajith Kumar illustrates her dilemma of dealing with enthusiastic party workers who want her to participate in the prime ministerial race. 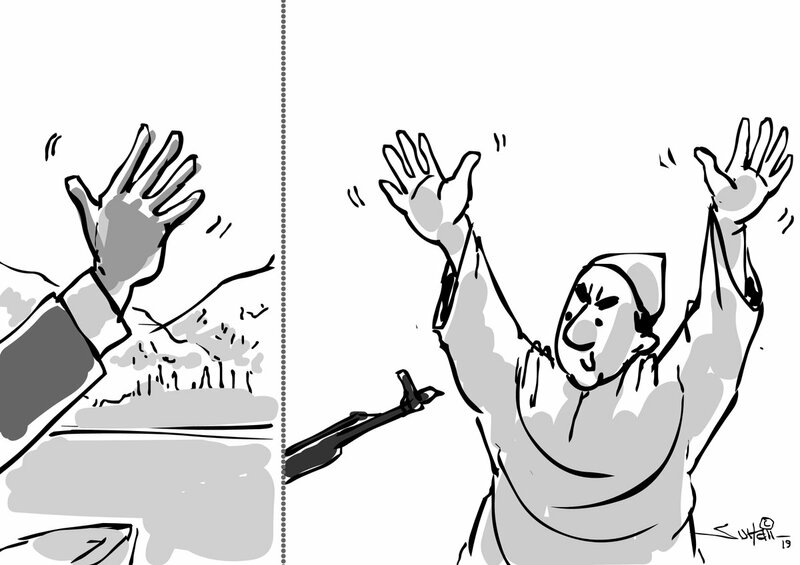 Suhail Naqshbandi takes a jibe at a recent picture of Prime Minister Narendra Modi during his visit to Kashmir, where he was photographed waving his hand from a boat in Dal Lake. 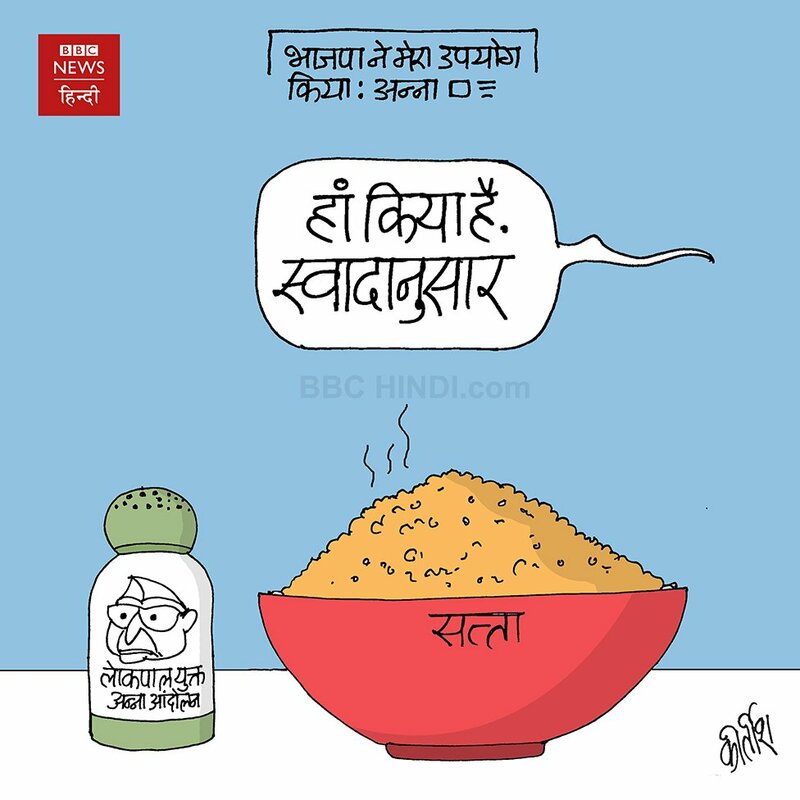 The cartoonist uses the image to highlight the severe socio-political unrest in the state.